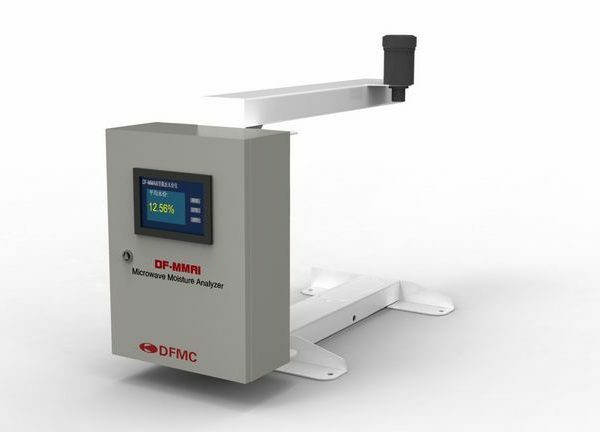 DF-MMA Microwave Moisture Analyzer is based on the embedded fully automatic online detection system, the microwave moisture analyzer made by the company can solve the problem of traditional manual sampling test which provides delayed data, and serve as the link in the automatic control of industrial processes to provide continuous and reliable moisture data while achieving real-time and accurate monitoring on moisture. 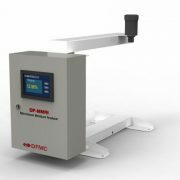 According to microwave method, the microwave moisture analyzer made by the company can calculate the moisture content by testing the changes of transmission speed and intensity after passing through the material. It applies to a diverse range of materials, such as coal, timber, sugar, bagasse, sand, mineral sand, food, grain, pills, chemical produce, and nearly all other materials. Much practice shows that, the microwave moisture meter has good applicability in the transmission belt environment, and possesses mature resolutions to some special instances of complicated material shape, high rotation speed operation, and acid and alkali corrosion. Measure total moisture: measure total amount of inside and surface moisture of material which is more representative. High anti-interference ability: without disturbance of environment dust and steam. Low emission energy: without changing material quality. Safe and reliable. Simple installation and commissioning: it chooses models according to installment environment. Safety and non-pollution: high dependability without radioactive nuclear resources.